The Pets Stop Walk Thru Door Panel extends Pets Stop freestanding pet gates for ease in moving through your home but keeping your pet contained to an area of the home. The door panel and gates are very attractive for any décor. Door panel works with Royal Weave/Part Mission Weave and Polka freestanding dog gates. The Pet Gate Walk Thru door panel is available in a 3 colors and 2 sizes. This metal dog gate construction is easy to clean plus it simple and sturdy. 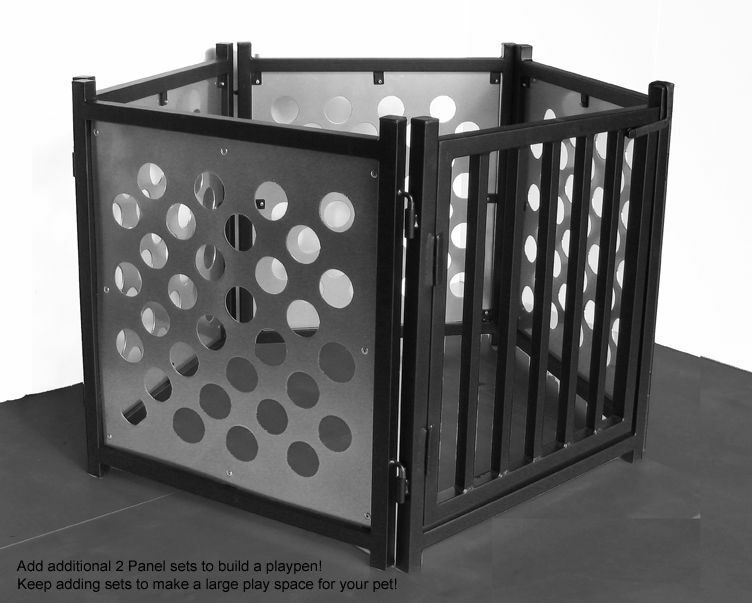 PetsStop Dog Gate ship in 1-3 Days Ground Only! Configuration for use as dog gate. 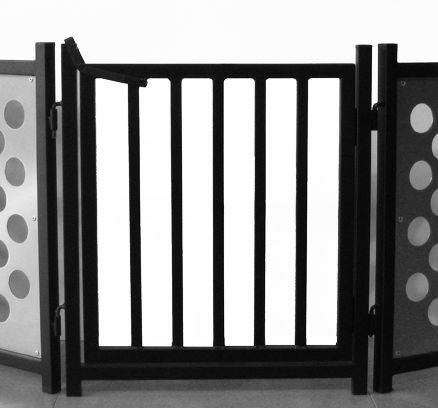 Add 2-Panel Sets (shown Silver & Black Freestanding Dog Gate) to built Walk-Thru Dog Gate to create an Exercise Pen using DGD3.